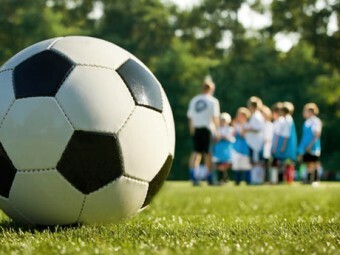 Recently the coach of a children’s soccer team attempted to claim unfair dismissal in the Fair Work Commission. The case highlighted the need for organisations to be clear about their worker’s volunteer and/or employee status. The FWC’s decision in Grinholz v Football Federation Victoria Inc  7976 (‘Grinholz’) underlines the need for organisations, particularly not-for-profits, to clearly characterise the arrangements under which people work for them. Grinholz also gives further guidance over the indicia which the FWC look at in determining whether or not the relevant work arrangements point to an employment relationship. In Grinholz, the FWC found that the relationship did not amount to employment and therefore the worker was not entitled to protections afforded by the Fair Work Act (‘FWA’) such as unfair dismissal, adverse action and enforcement of entitlements. Mr Grinholz was a coach for a girls’ soccer team whose club operated under the Football Federation of Victoria Inc. Under a document styled as a voluntary agreement, he was paid an honorarium for his services. The agreement also covered matters such as Mr Grimholz’s obligations to attend team training, matches and competitions as well as meet with other coaches and club administrators. Mr Grinholz’s honorarium was paid in two instalments – one at the beginning and the other at the end of each season. Towards the end of the 2016 season, and prior to the payment of the second instalment of his honorarium, the club terminated Mr Grinholz’s role. He brought an unfair dismissal application under the FWA which the club opposed on the basis that he was merely a volunteer and not employed by them. Whether GST, income or other taxes are withheld by the employer. Having regard to the above, the FWC found that Mr Grinholz’s circumstances had characteristics of both employment and voluntary work. On one hand, the club exercised a degree of control over him, required him to wear its uniform and abide with employment policies such as its code of conduct. On the other hand, he did not receive leave entitlements, tax wasn’t withheld from his honorarium and this was found to be roughly equivalent to his out of pocket expenses in performing the work. Weighing up the factors for and against characterising the situation as employment or voluntary work, the FWC found that it was more like a voluntary arrangement than it resembled employment. In reaching its conclusion, the FWC found that the purpose of the services agreement was intended to maintain coaching standards, the club’s reputation and protecting the interests of participating players. Importantly, level of control the club exercised over him was “not inconsistent” with a voluntary arrangement. Another important factor was the level of Mr Grinholz’s honorarium. If it had been significantly more than his out of pocket expenses, the FWC indicated that it may have found that the relationship was “more like” employment. All organisations, especially those who have both employees and volunteers working for them, must ensure that the arrangements that underpin their work clearly depict the character of the relationship. For clubs, societies and other not-for-profits, it appears that a degree of control can still be exerted over a worker and yet they can still be found to be a volunteer. One caveat is that any payment made to them must be commensurate with their role. Just Us Lawyers act for employers, employees and incorporated bodies within the not-for-profit sector. If you find yourself involved in an employment dispute or unfair dismissal matter, our team of employment experts will get you through the system, whatever side you are on. For many Buyers purchasing property in Queensland, arranging suitable insurance prior to settlement is a mere afterthought. Too often, Buyers are preoccupied with their finance approval, the results of their building and pest inspections, obtaining property searches and the ‘handing over’ of keys after settlement takes place. This blog stresses the importance of purchasing suitable insurance for the property you purchase in a timely manner. 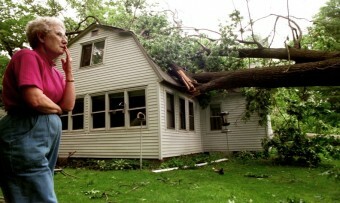 After all, wouldn’t you want surety as to third party protection if an unforeseeable event such as a natural disaster damages the property you have bought before settlement? What do the Contracts say about insurance? In Queensland, the two commonly used forms of residential property Contracts of Sale are the Real Estate Institute of Queensland (REIQ) Contract and the ADL Contract. Both Contracts provide a Standard Condition in fine print relating to what is broadly termed as ‘Risk’. Unfortunately, Buyers are all too often either unaware of such condition or unsure as to their obligation with such condition. Standard Condition 8.1 of the REIQ Contract of Sale provides that ‘The Property is at the Buyer’s risk from 5pm on the first Business Day after the Contract Date’. Unless anything to the contrary such as the insertion of a Special Condition to the Contract, buyers are encouraged to purchase an insurance policy cover note over the property shortly after signing. This is due to both the REIQ and the ADL Contracts of Sale providing that risk of the property is transferred from the Seller to the Buyer from 5pm the business day after signing the Contract of Sale. Buyers do not be alarmed…..the Seller does have a continuing obligation to not only maintain their current insurance policy but also take reasonable care of the property up until and including the settlement date. What should I do if I am buying a home? If purchasing standalone residential property in Queensland, buyers are encouraged to arrange for both a building insurance policy (for the land and the dwelling) and a contents insurance policy (which can cover personal items, furnishing and household items such as appliances). This is commonly termed as a ‘Home and Contents’ package. Just Us Lawyers recommend that in addition to consulting our firm, buyers should contact their financiers for assistance in selecting a suitable policy or undertake their own research into a cost effective and reputable insurer. What should I do if I am buying a unit? If purchasing a body corporate unit or townhouse that is part of a Community Titles Scheme, insurance cover can vary. Firstly, buyers should confirm that their Body Corporate has maintained an up-to-date and comprehensive Strata Building Insurance Policy for the CTS. If so, there is no need to concern yourself with Building Insurance. Buyers should be aware however that Strata Building Insurance may be limited to the actual dwelling and will likely not cover internal fittings and fixtures such as carpets, blinds, appliances and the like. It is up to you as the buyer to then determine whether contents insurance or any other relevant insurance should be taken out over the property. Just Us Lawyers can assist you in explaining your rights and obligations as a Buyer with respect to insurance. Our friendly solicitors and conveyancing teams at our Brisbane offices in Kelvin Grove and Wilston can also provide advice and guidance to you as to suitable Special Conditions that can be inserted into the Contract with regards to insurance. Thieltges, Brigitte, ‘ Property Insurance – Who is responsible for what and when?’ (Date Unknown), McColmMatsinger Lawyers http://www.findlaw.com.au/articles/4853/property-insurance–who-is-responsible-for-what-an.aspx.